SKU: 2075-DB. 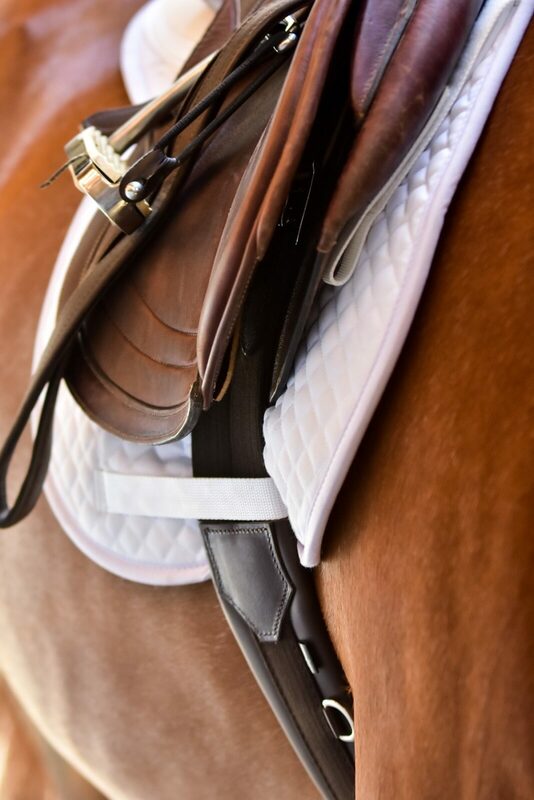 Categories: Shop All ThinLine Products, Hunter Jumper Tack, Horse And Rider Tack, Girths and Cinches. Tag: jumper girth. * Available in Dark Brown. * Breathable, anti-microbial, and no-slip/no-rub. * Easy to clean and very durable! Dirt does not stick to ThinLine. * No need for high maintenance sheepskin. * Keep them cool and comfortable so they can perform better. * Anti-microbial properties allow for use on multiple horses. * Full year product warranty. 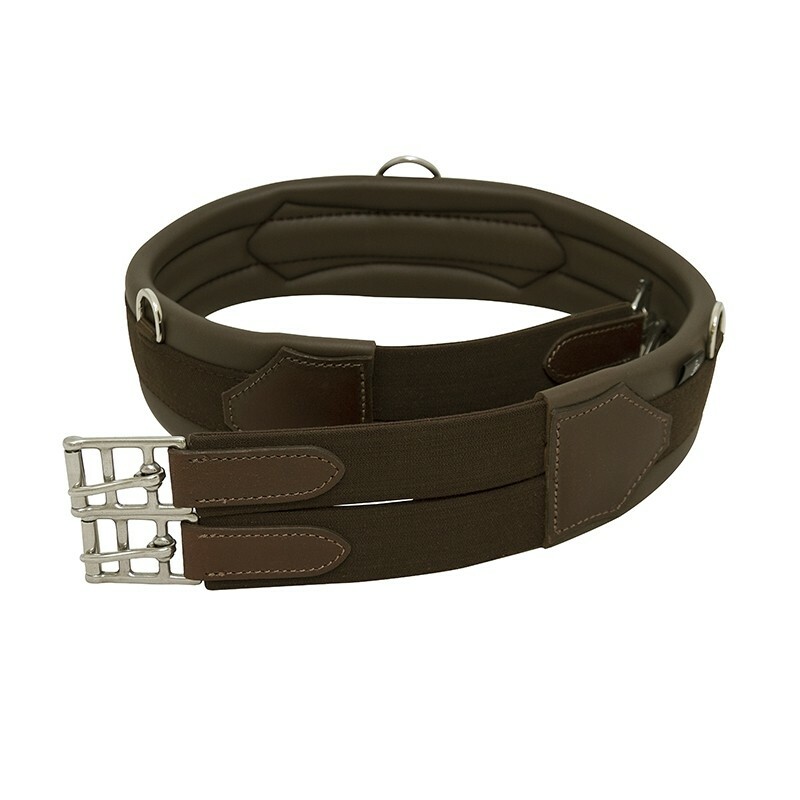 Security in the saddle and comfort are improved with this no slip girth. Anatomic design, coupled with ThinLine gives your horse confidence and freedom in the shoulders. 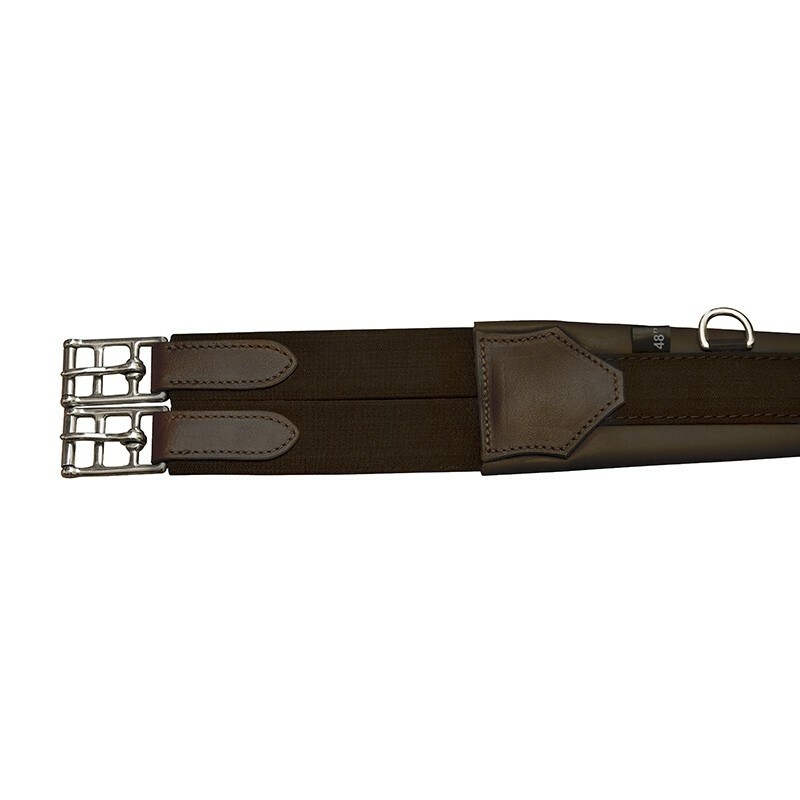 The ThinLine English girth with d-rings is made of almost 100% ThinLine with leather reinforcements, roller buckles and double ended, triple layered elastic. The ThinLine on this girth is anti-fungal and breathable, making it safe to use on multiple horses. In this girth, it is all about what goes against the horse. With ThinLine, you have a comfort producing, non-slip product against your horse, helping them feel great and allowing them to relax and breathe! No Sheepskin needed! Now you can forget all the time constraints of managing sheepskin girths. ThinLine English horse girths give you all the no rub, soft protection. And all you need to do is wipe it off! This girth runs a little small, if you are snug in your current girth size please order up a size.